Now, add the voice of one of Murdoch's former senior executives, who says he left his job in late 2017 over the coverage of Muslims, immigrants and race by Fox News and other Murdoch news outlets. "Scaring people. Demonizing immigrants. Creating, like, a fervor — or an anxiety about what was happening in our country," former News Corp. Senior Vice President Joseph Azam tells NPR in his first public comments on his former employer. "It fundamentally bothered me on a lot of days and I think I probably wasn't the only one," he says. Azam was also group chief compliance officer for News Corp.'s corporate headquarters, The Wall Street Journal, the New York Post and the HarperCollins book publishing house, among other properties. He worked for News Corp. from 2015 until late 2017, leaving, he says, without any nondisclosure agreement. While News Corp. is technically separate from the corporate parent of Fox News, they are both controlled by Murdoch and his family. In separate interviews, a longtime friend of Azam's and Azam's wife said he relayed his concerns to them about News Corp. and Fox News at the time. Both women said that was his reason for deciding to leave the company. For Azam, his decision to leave News Corp. was a matter of personal pride as well as principle: Born in Kabul, Azam came to the United States as a toddler, part of a family of immigrants and war refugees seeking haven from the conflict caused by the Soviet invasion of Afghanistan nearly four decades ago. And Azam says the rhetoric coming from some of his corporate colleagues sickened him: Muslims derided as threats or less than human; immigrants depicted as invaders, dirty or criminal; African-Americans presented as menacing; Jewish figures characterized as playing roles in insidious conspiracies. Azam says he saw it throughout the Murdoch media empire — especially on the popular opinion shows of Fox News, including Jeanine Pirro, Tucker Carlson, Laura Ingraham and Sean Hannity, and Fox Business Network's Lou Dobbs. Azam's public remarks to NPR arrive after a slew of controversies for Fox News. In recent days, the network has found itself forced to condemn recent anti-Muslim commentary by Pirro, an opinion host with close ties to President Trump. Fox News said her views "do not reflect those of the network and we have addressed the matter with her directly." Indeed Azam himself brings up an interaction with Carlson from two years ago. In June 2017, Carlson sent out this tweet from his personal account: "#Tucker: Why does America benefit from having tons of people from failing countries come here?" Azam shot back: "If you come upstairs to where all the executives who run your company sit and find me I can tell you, Tucker. #Afghanistan." Carlson is the focus of intense scrutiny from Media Matters as well as Muslim advocacy organizations. The Council on American-Islamic Relations, for example, has called for advertisers to boycott Fox News unless Carlson and Pirro are both dropped. Azam, now 37, in many ways is an embodiment of the American dream, an example of the drive and thrift that is often praised, at least in the abstract, by Fox hosts and commentators. After coming to the U.S., Azam grew up largely in Queens, N.Y., and then Southern California, at one point selling shoes at his father's small store in Manhattan. He went to New York University and got his law degree from the University of California, Hastings College of Law in San Francisco. "My office at News Corp. looked over a corner near Rockefeller Center where my dad used to sell newspapers," Azam says. "My issue with this isn't as an American Muslim. It's not as a refugee. It's not as an immigrant. It's as an American," Azam tells NPR. "I live here. I have kids here. And it worries me that, you know, what's being put out into the universe could actually create a lot of risk for them." 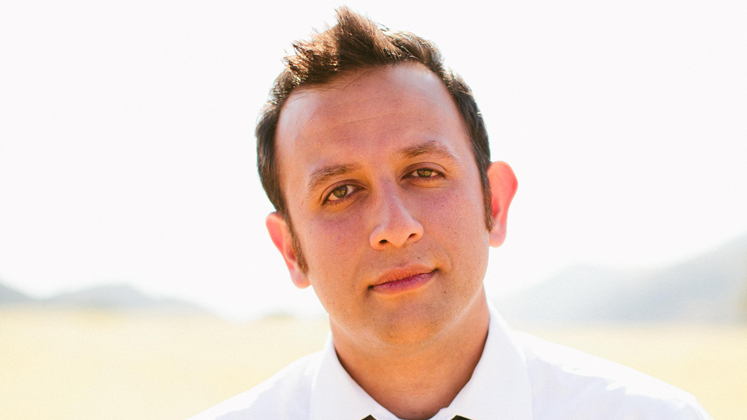 Azam wrote about his experience as a refugee and an immigrant in a recent collection of essays edited by the Pulitzer Prize-winning author Viet Nguyen. Azam says he was inspired to speak more directly now regarding his qualms about Fox and its corporate siblings by two incidents: the mass shootings of Muslims in New Zealand and the murder of an Afghan-American in Indiana last month. Authorities accuse a man of shooting Mustafa Ayoubi after yelling anti-Muslim slurs. The former Sky News Australia producer, Rashna Farrukh, also cited the New Zealand killings this week in quitting the cable network, which is owned by News Corp.
"As a young Muslim woman, I had many crises of conscience working here, but the events of Friday snapped me out of the endless cycle of justifying my job to myself," Farrukh wrote on the website of the ABC, Australia's public broadcasting network. "I compromised my values and beliefs to stand idly by as I watched commentators and pundits instil[l] more and more fear into their viewers. I stood on the other side of the studio doors while they slammed every minority group in the country — mine included — increasing polarisation and paranoia among their viewers." Since the departure of the late Roger Ailes as the network's chairman, Fox News executives have at times sought to rein in more extreme commentary, barring a guest, for example, who spun a conspiracy theory around the Jewish philanthropist and investor George Soros. However, Azam says if anything, the rhetoric has gotten harsher since Trump came to power. Told of the nature of Azam's critique, executives at Fox News and News Corp. declined to comment. The opinion pages of The Wall Street Journal, Azam argues, often sounded similar themes surfaced against immigration in a more high-brow fashion. "It was very eloquent, mostly. ... It was policy backed, at a certain level," Azam says. "In a very subtle and eloquent way, it was kind of like the stuff that would happen in the [New York Post], dressed up in a tuxedo." As an example, Azam pointed to an opinion piece in the Journal by two leaders of a right-wing, populist Swedish political party claiming violence rose along with greater immigration there — though subsequent news coverage elsewhere seemingly debunked it. Under former Journal Editor Gerard Baker, Azam says, even the news coverage of the Trump administration's initial Muslim ban "seemed to be aimed at shaping the narrative for the White House, to move away from talking about the fact that religion was being targeted." Some journalists agreed, as NPR and other outlets reported at the time. Fox just publicly distanced itself from Pirro for questioning a Muslim congresswoman's loyalty to the U.S. because the lawmaker wears hijab. Pirro was off the air last weekend. And the network won't explicitly say whether it has suspended her. Trump has tweeted in support of both Pirro and Carlson. Azam says the network's silence is telling, arguing that Fox is seeking to retain Pirro's fans — and the president's support. "I think that the wink-and-a-nod thing is very problematic because that is exactly how racists operate at the highest level, right? That is exactly how anti-Semites operate. That is exactly how Islamophobia operates at the highest level." News Corp. is technically separate from the Murdoch family's television and entertainment holdings, newly called Fox Corp. after a massive sale of assets to the Walt Disney Co. Yet Azam lays the responsibility at Rupert Murdoch's feet, saying the punditry echoes what the media mogul himself appears to believe and promote. Azam notes, for example, a 2015 tweet in which the media chief wrote that most Muslims may be peaceful but until they destroy this "jihadist cancer" they must all be held responsible. Murdoch no longer tweets. But the controversies continue. "I grew up in New York City. I don't think I'm very sensitive," Azam says. "I've had guns pointed at me at my work. I've investigated corruption throughout Africa and the Middle East and in places where, you know, my life was in danger doing that. So I think I'm pretty thick-skinned when it comes to pretty much anything. "This stuff went beyond sort of being thick-skinned," he says.